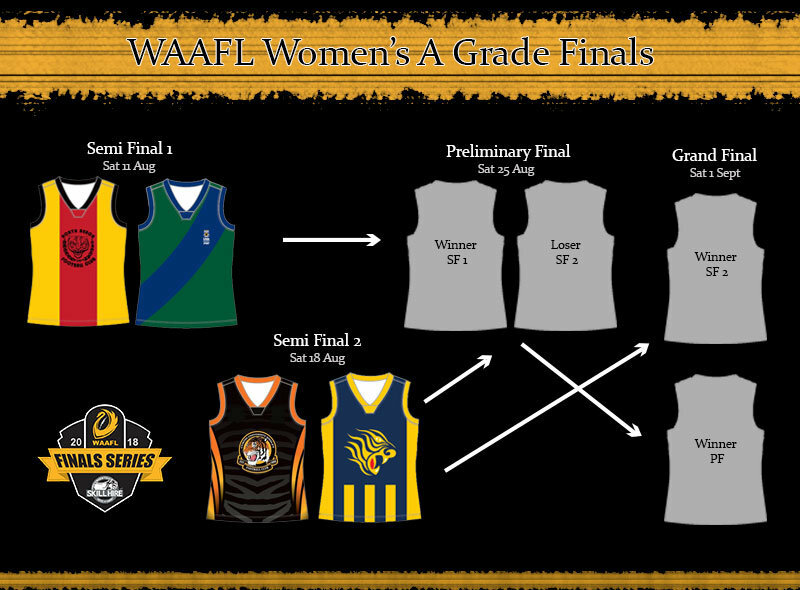 The WAAFL Women’s competition finals begin this Saturday 11 August at Lightning Park, Noranda. 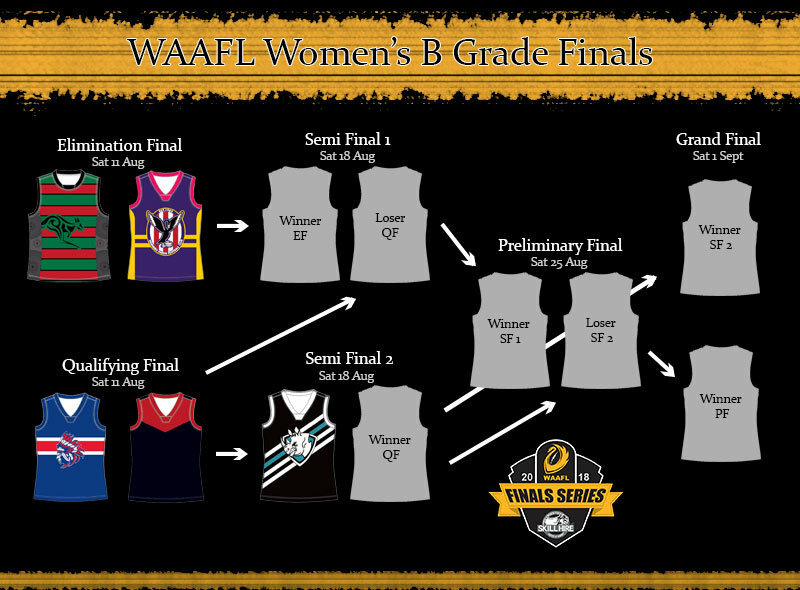 The A Grade competition sees the top four teams through to finals while B Grade has a top five format. 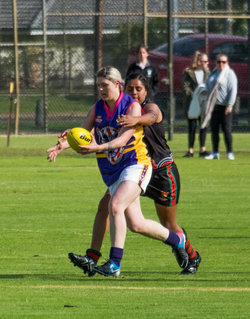 This Saturday Nollamara and Warnbro Swans will compete in the B Grade Elimination Final after finishing fourth and fifth respectively after the home and away season. Cockburn Lakes (2nd) and Cottesloe (3rd) will go head to head in the B Grade Qualifying Final at 5.30pm. After finishing on top of the B Grade ladder by percentage, Rossmoyne will have a week’s break before taking on the winner of the Qualifying final. 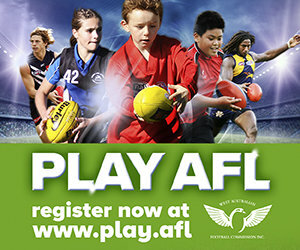 In the A Grade Semi Final North Beach (3rd) will face University (4th) with bouncedown at 7.00pm. Curtin University Wesley finished the season on top of the A Grade ladder with eleven wins and one draw and will face second placed West Coast in Semi Final 2 on Saturday 18 August.